Is there a better alternative to Desktop Publisher Pro? Is Desktop Publisher Pro really the best app in Author Tools category? Will Desktop Publisher Pro work good on macOS 10.13.4? Desktop Publisher Pro is a best mac software of high quality, low cost, full featured mac desktop publishing tool for the professional and novice alike. Desktop Publisher Pro delivers the power-packed desktop publishing solutions that power users need to transform concepts into stunning professional quality designs. Both first-time users and experienced graphic designers will appreciate the intuitive powerful text handling capabilities of Desktop Publisher Pro. MacOS 10.5 design and functionality improved. Enter information directly into text boxes, cut and paste, or import from text files. Cristallight software for mac flows text around graphics; it allows you to link text boxes and precisely place text and graphic objects. This full-featured mac page layout publisher provides users far more control over the appearance of text than ordinary word processors. 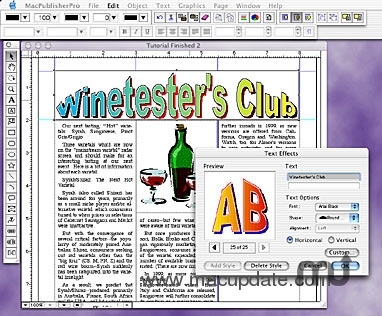 Whether your running a business, advertising a garage sale or adding the finishing touches to a school project, Desktop Publisher Pro lets you tinker, tweak and outright torture text, plus create headlines and special effects like the best of the big-name publishing software at a fraction of the cost.